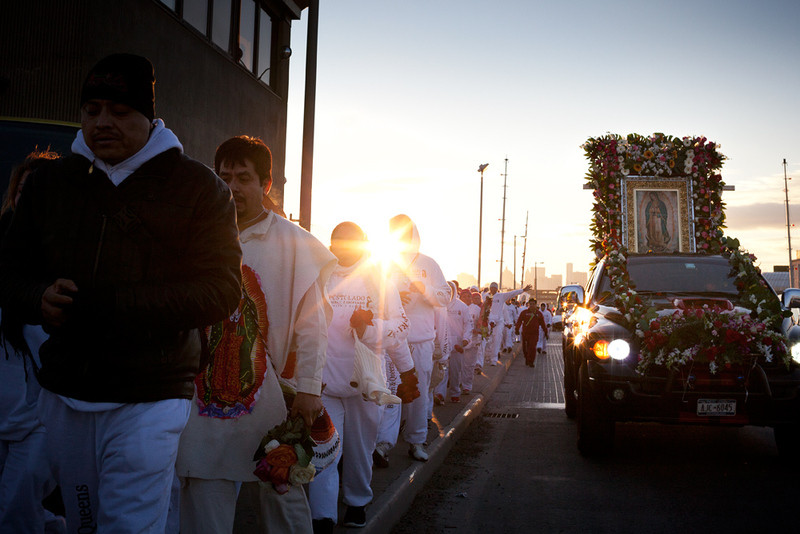 Riding along with Apostolado Mexicano Diocesano as over 1000 members ran from The Co-Catherdral of St. Joseph's in Prospect Heights, Brooklyn to Our Lady of Mt. Carmel Church in Astoria, Queens. 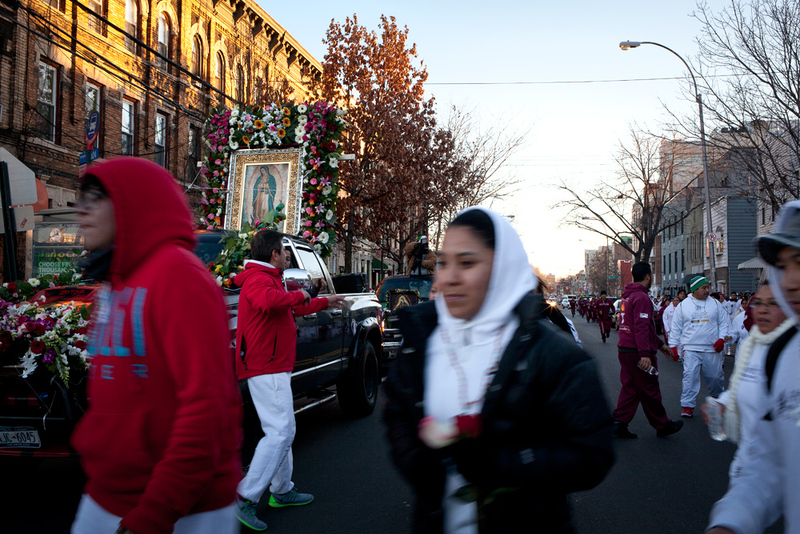 I truly hadn't researched events for the Guadalupe in Brooklyn but remembered that St. Joseph's had a processions last year so I started there. 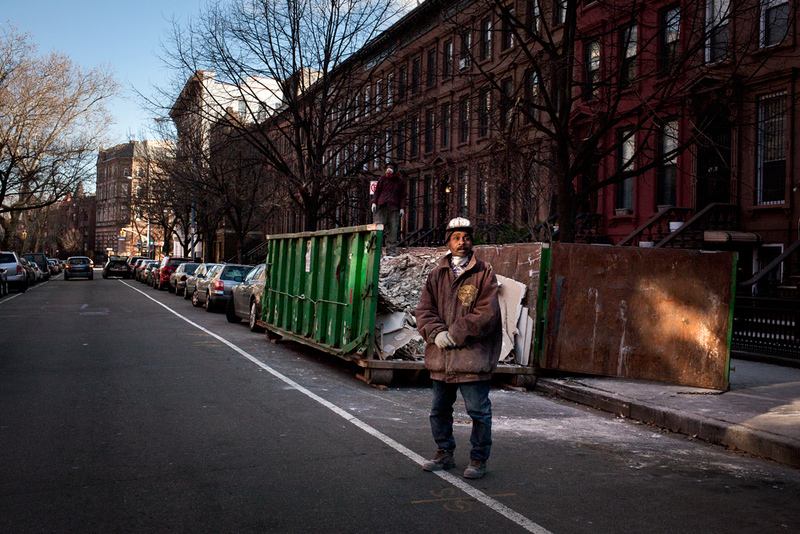 I misunderstood somewhere thinking they were going into Manhattan (back to the books with my Spanish! ), as they were not only going to Queens but running! Thankfully, I had my bicycle and rode along with them. The sky was sparkling blue, the air was frigid, though no one seemed overly cold but me. The closer we were to the end of their approx. 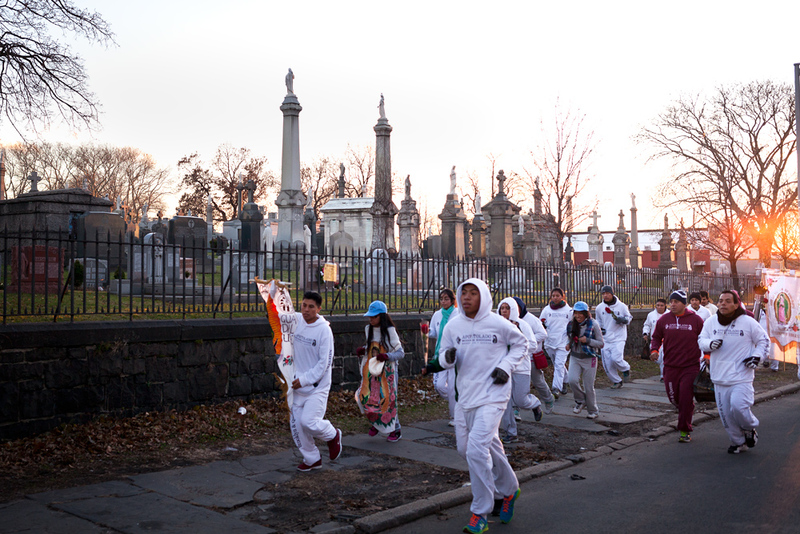 12 mile run/walk the energy started to rise, cheering and sprinting past New Calvary Cemetery where I turned and waved goodbye. I really wished to have stayed until the finish but it was getting dark and I didn't have my super reflective MTA vest to keep me safe. 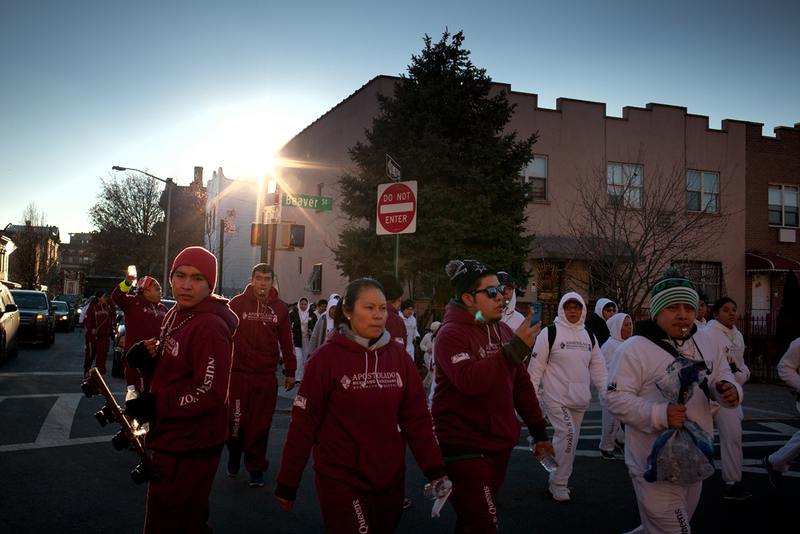 I loved watching the faces along the path, those that either didn't know the Guadalupe or were just surprised to find 1000 folks running through their neighborhoods. 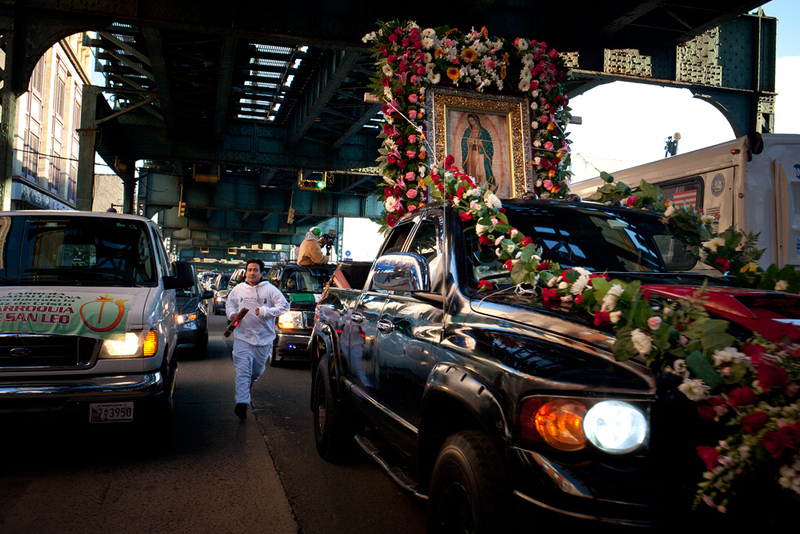 Fellow Mexicans, passing FDNY trucks, store owners and neighbors all cheered them on, smiling and honking horns ¡Viva Mexico! 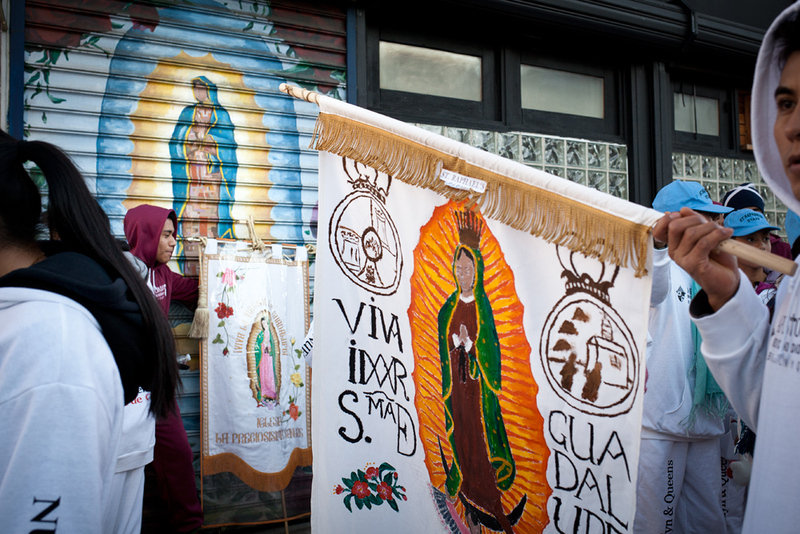 Our Lady of Guadalupe is celebrated every December 12, commemorating her 1531 appearance before a Mexican Indian at Tepeyac, northwest of what is now Mexico City. 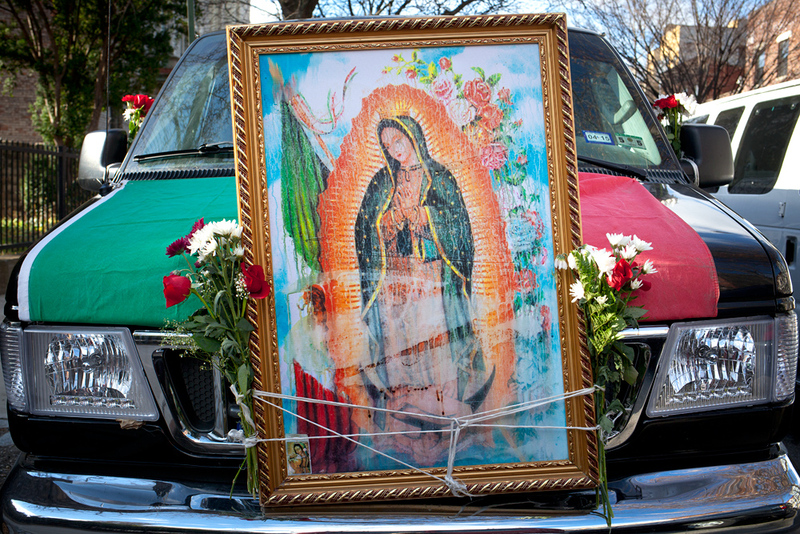 She is considered the Patroness of Mexico, Empress of the Americas with a message of love and compassion, and universal promise of help and protection to all mankind.